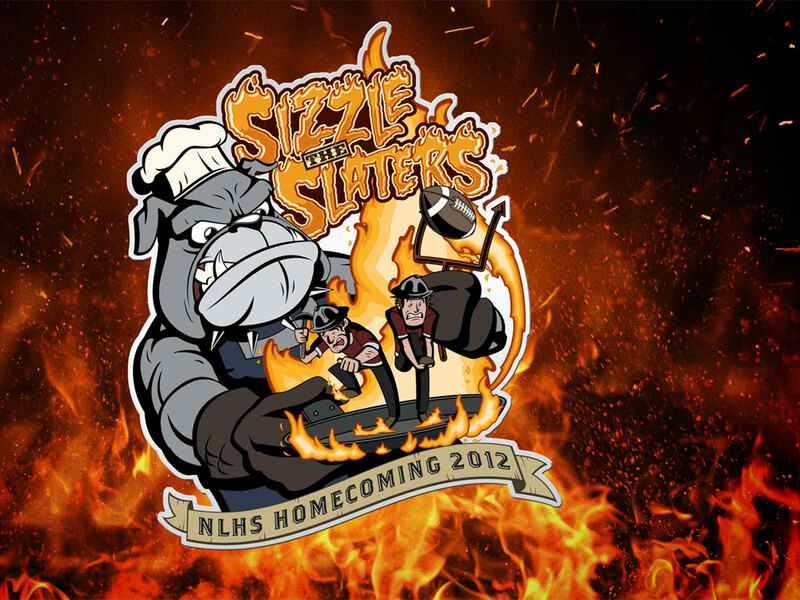 To celebrate the 2012 Homecoming festivities at Northern Lehigh High School in Slatington, PA, Kernie Cam Productions created this illustration for the Student Council t-shirt sale. 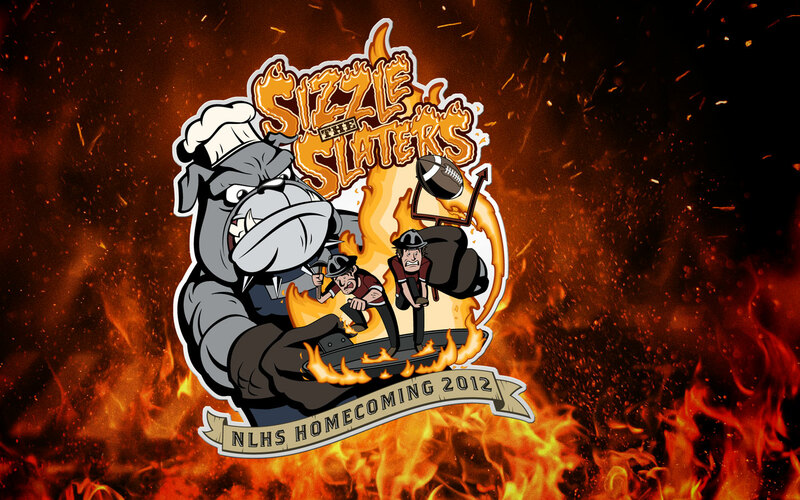 This year's Homecoming activities include a pep rally, parade, a coronation of king and queen, a semi-formal dance, and a Friday-night football game between the Northern Lehigh Bulldogs and the Bangor Slaters. 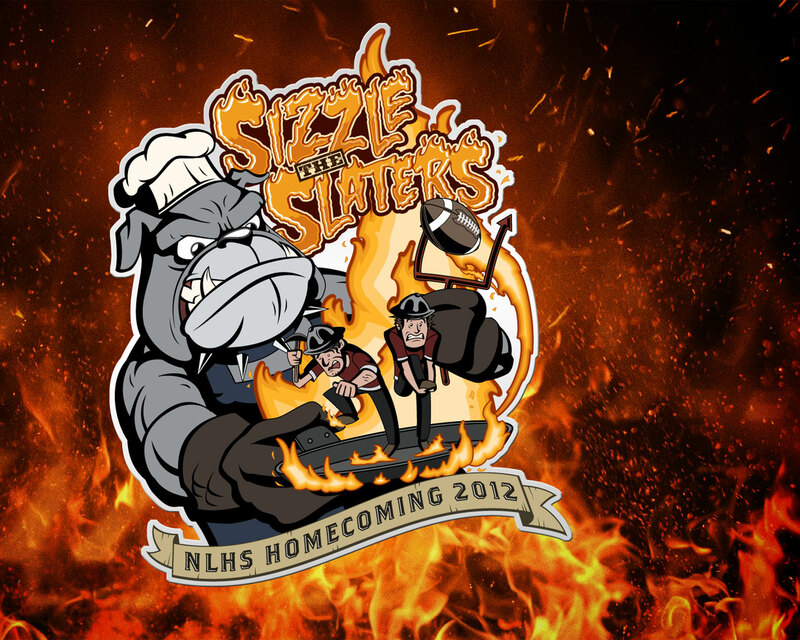 Using the slogan, "Sizzle the Slaters," the design features Northern Lehigh's anthropomorphic bulldog mascot cooking the Bangor Slaters over a flaming grill. 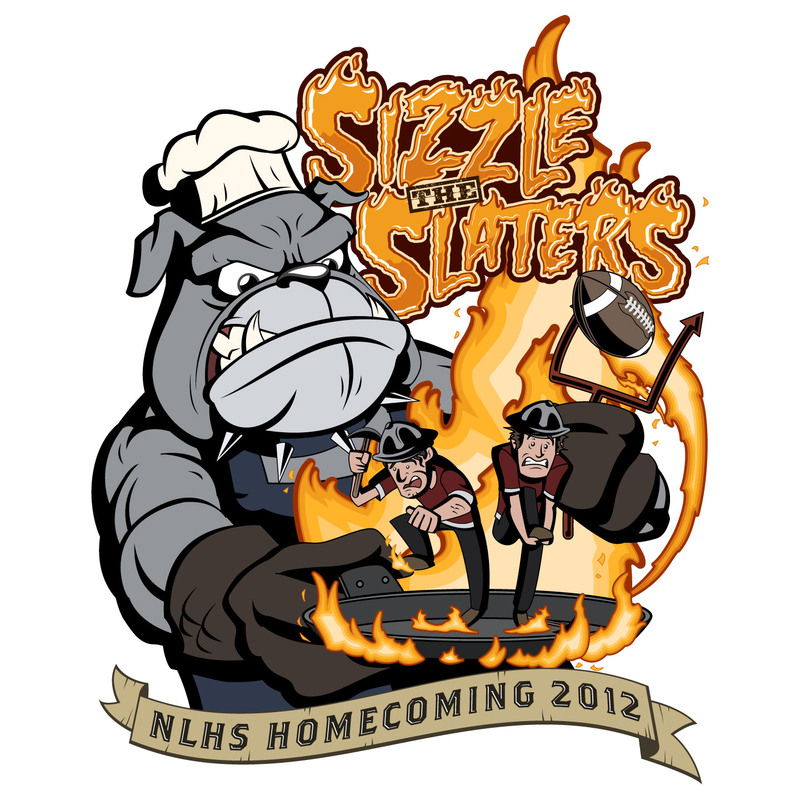 Two-color, long and short-sleeve t-shirts were sold through the Northern Lehigh High School Student Council, under the advisement of Mrs. Renee Evans. Kernie Cam also provided a color version of the illustration in the form of a desktop wallpaper that could be downloaded via the high school website.